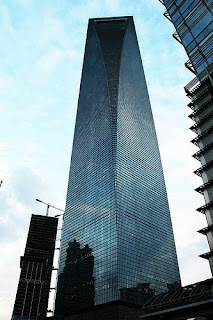 Shanghai World Financial center in Pudong, china stands with a height of 492m and it contains 101 floors. 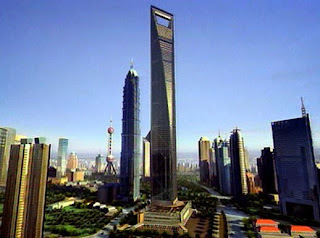 This financial center occupies a ground area of about 377,300 square-meters. 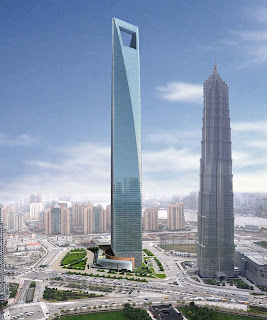 This energy saving building includes 30 elevators and 33 escalators. 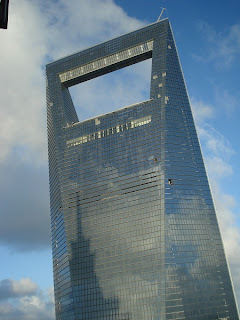 The rectangular aperture in the top reduces the stress of the wind pressure. This center encloses energy efficient LED displays on the external walls of the building. Water recycling tanks are used to recycle the waters used all over the building. This building provides more space for the bicycle parking to encourage the peoples to reduce driving the vehicles, emitting more carbon.